The Behavior Exchange offers comprehensive services not only for children with autism or developmental delays, but also their parents. Our applied behavior analysis experts can work with parents to provide them with the tools they need to foster the behavioral improvement of their children both at home and in school. By giving parents the appropriate resources, we can aid in their efforts to raise happy, healthy, and well-adjusted children no matter what their behavioral challenges they may experience. Raising a child who has a behavior disorder can be an isolating experience for some parents. The Behavior Exchange aims to show parents that they are not alone. We offer group parent training classes so that participants can see that others share their parental challenges. Our applied behavior analysis experts can also offer the emotional support that parents need as they implement our training practices into their homes . Each child with a behavior disorder demands individualized attention that caters to his specific condition. Upon assessing the needs of the child, The Behavior Exchange can then give parents suitable guidance as they create healthy regulations for behaviors. With these suggestions, parents can soon see changes in how their children respond to their instructions and become more self-sufficient individuals. As their children’s behavior improves, our training can adjust to their evolving needs and address ongoing problem areas. The goal of The Behavior Exchange is to give children and their parents the practical guidance and emotional encouragement necessary to promote appropriate behavior. As a child grows, it becomes increasingly important to have the social skills to handle familial and social situations. With our parent training program, parents can foster these skills so that their children can successfully navigate all types of relationships. Would you like to learn more about The Behavior Exchange’s parent training program? We encourage you to call us today at (972) 312-8733 to set up an appointment at our Dallas area office. Our behavior disorder specialists would be happy to address your questions and concerns. Language skills can vary from child to child. However, specialists recommend that parents seek help should they notice any signs of delayed development. This video discusses early indicators of language impediments. Some children may also suffer from language delays should they rely heavily on gestures rather than spoken words. Older children may have communication difficulties if they cannot string together multiple words by the time they reach their third birthday. One early indicator of an autism spectrum disorder, is delayed speech and language. The sooner help is sought for these problems, the more quickly treatment can correct them. 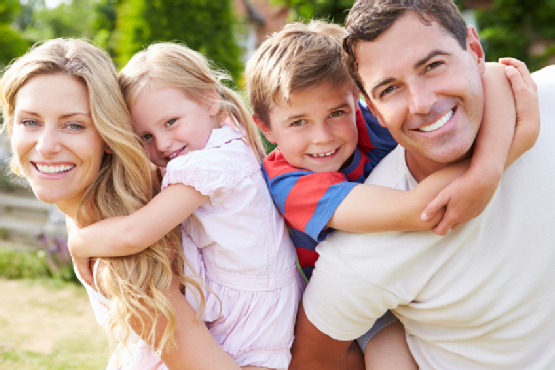 Applied Behavior Analysis experts at The Behavior Exchange can help families that are coping with behavior disorders . For more information, call our Dallas area location today at (972) 312-8733.